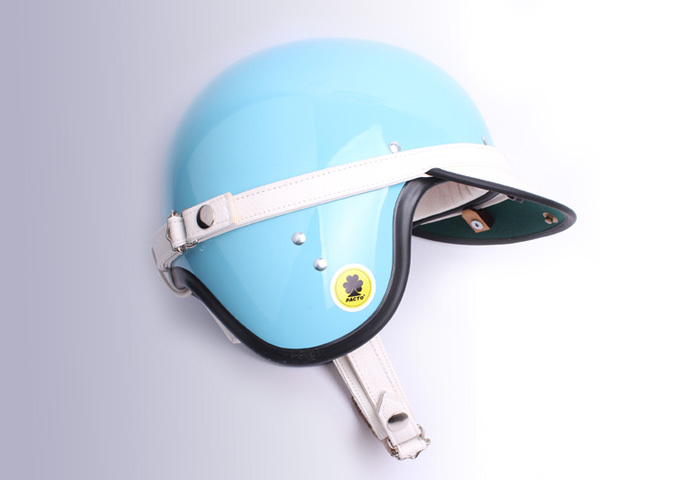 This fiberglass, Everoak original style, shell is made combining different internal materials, like in the oldest RaceMaster helmet which was made with 100% genuine leather on the internal parts and vinyl on the back, red satin lining and white nylon strips. 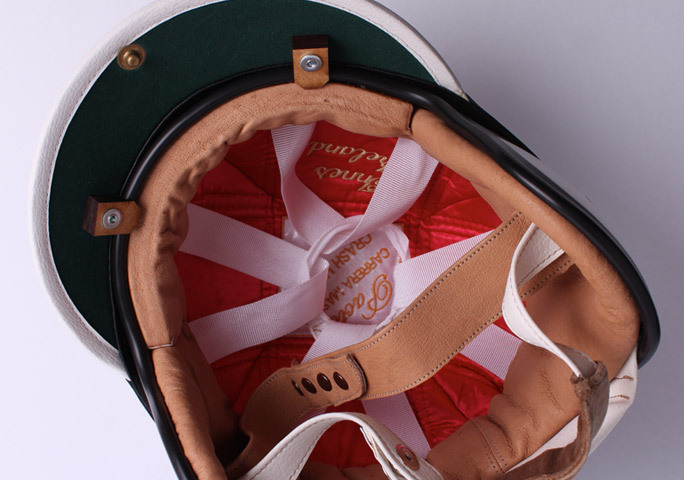 This helmet was made entirely by hand very careful, as you will see when you check the internal french sewing in the back, exactly like the old helmets were made, the internal logo is protect by clear plastic and all the inside part is made by three different layers of cork. 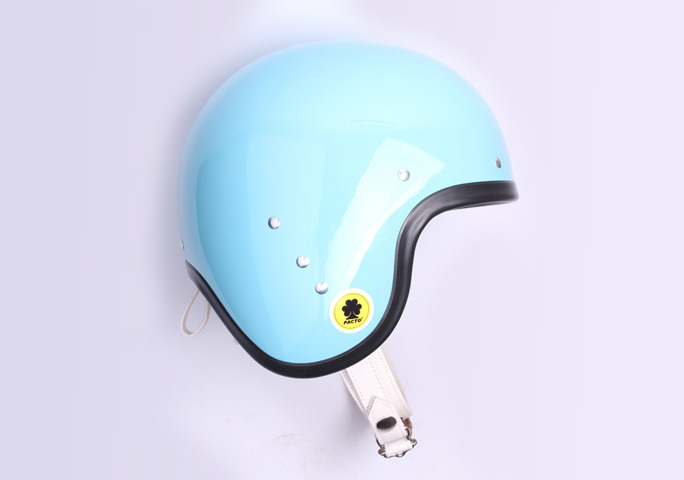 You can choose the internal lining leather between normal leather or pig leather.